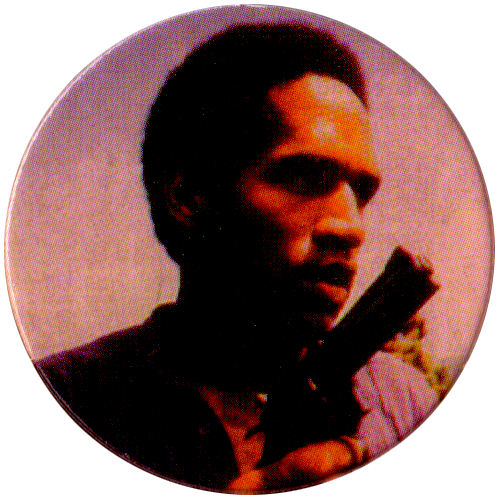 Info:These caps have no date printed on them, but date from around 1995, the time of O.J. 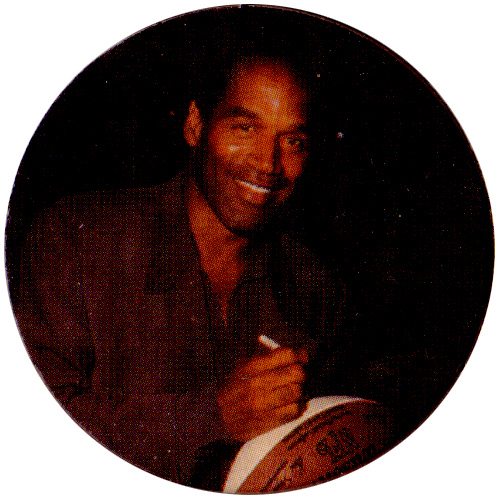 Simpson's famous trial for the murder of his ex-wife Nicole Brown Simpson and her friend Ronald Goldman. 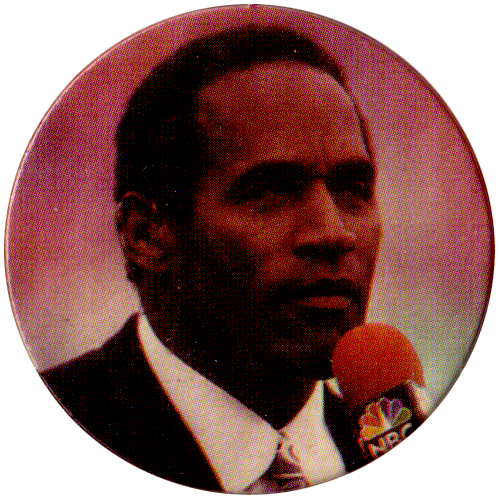 The caps mainly feature images of O.J. 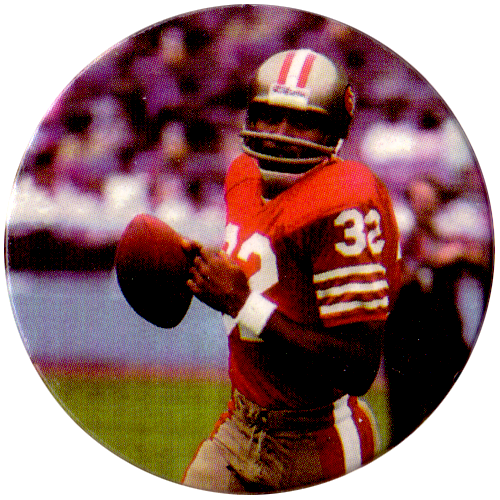 Simpson in his days as an American Football player, when he played for the Buffalo Bills and San Francisco 49ers. 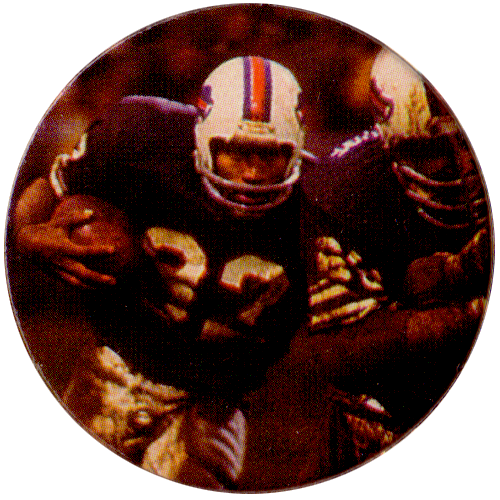 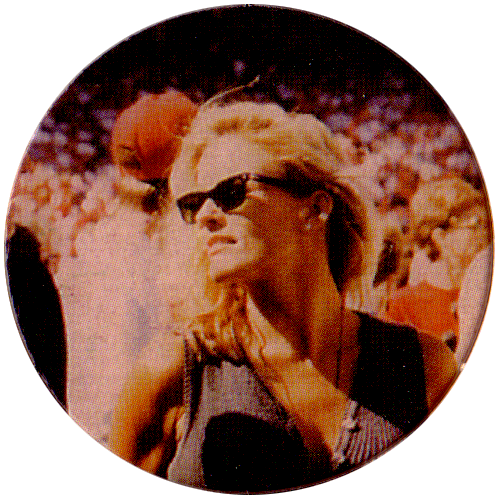 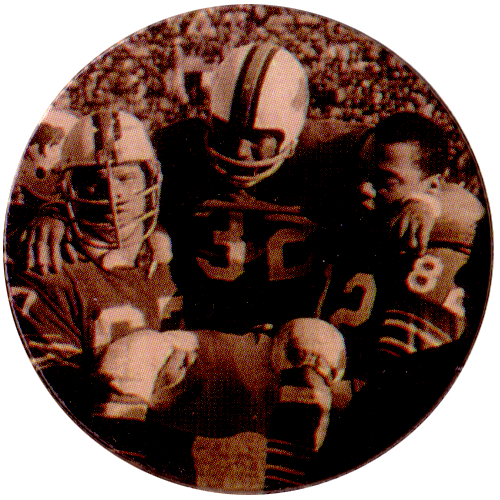 The pogs come cut but unpunched in a card with a large picture of Simpson playing at a Buffalo Bills football game printed on the centre of the card. 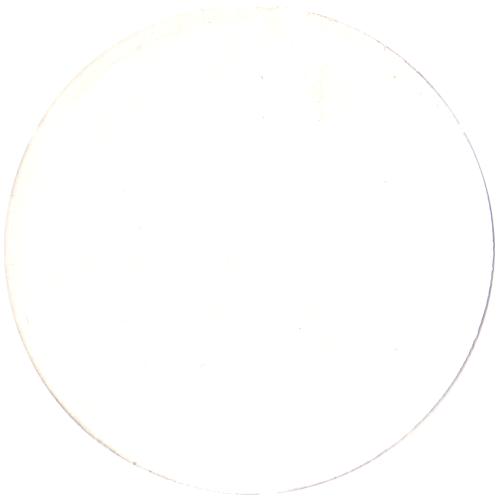 The back of the card is unprinted. 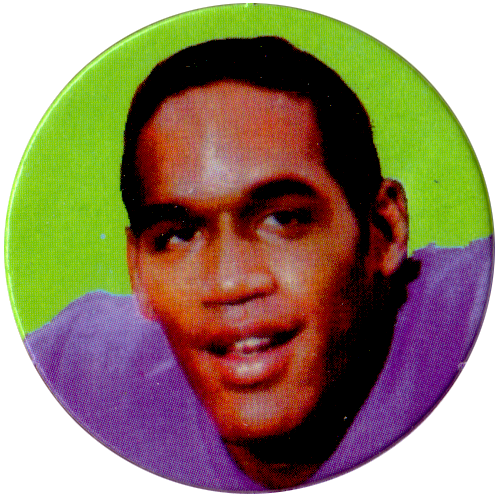 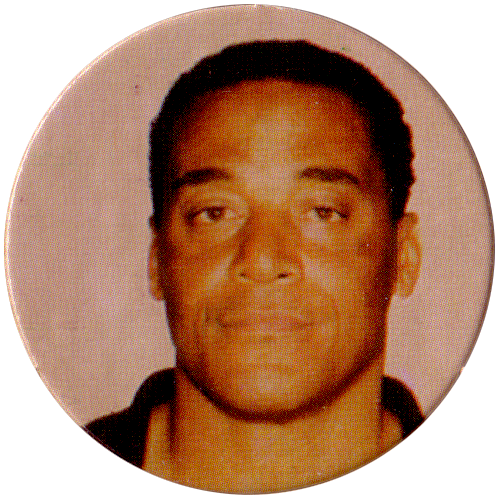 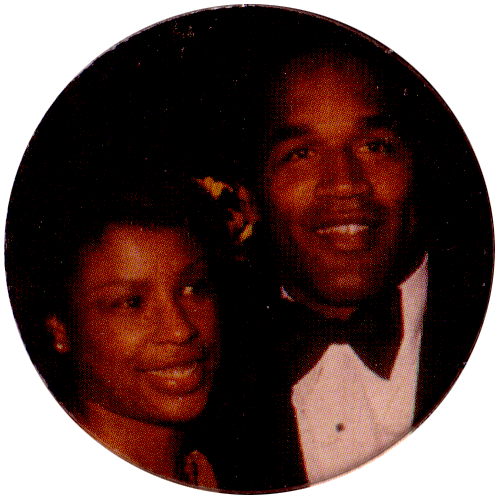 For more OJ Simpson pogs see the O.J. 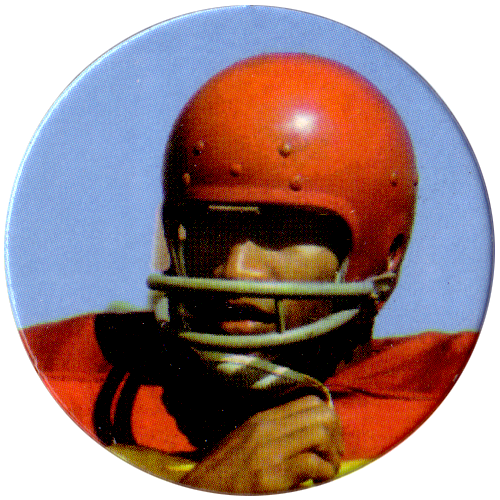 Simpson On Trial Special Collectors Series caps.